Fully air operated 'S' cam dual circuit brakes. 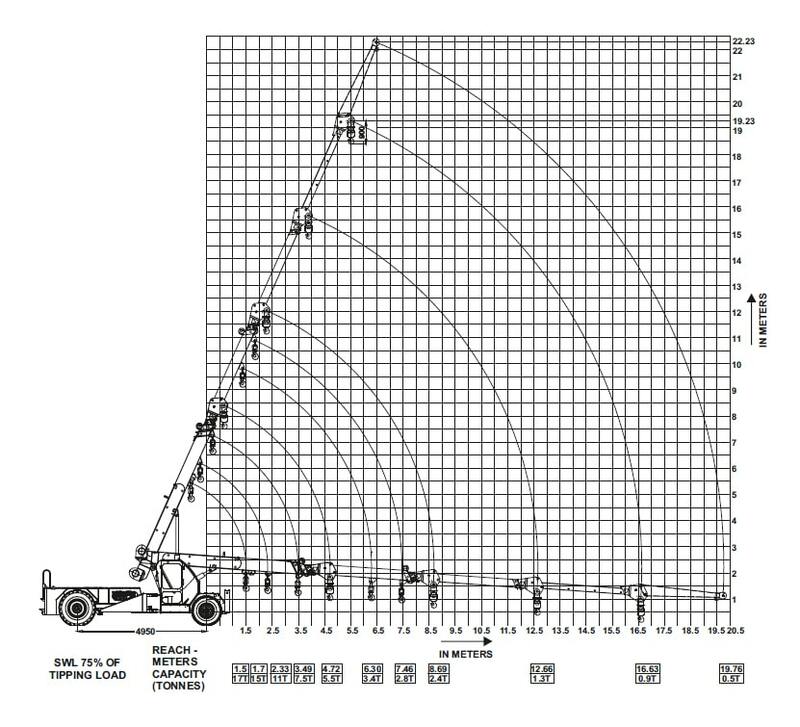 4 part boom, 3 part hydraulically powered & fully synchronised. 4th part power extended and manually pinned for safety. Four/Six falls with fail safe brake. 3/5/6 spool control valve double acting with built in pressure relief valve for trouble free operation.